Treatment designed to release the muscular tension on the upper back, combined with a specially formulated oil to descontract even the deeper muscles. Superb aroma therapeutic massage that balances, detoxifies, relaxes and revitalizes the body, mind and soul. The combination of different techniques as pressure points, stretching and the long strokes of Mayan massage will take you to a new level of relaxation. The ideal treatment for over-exposed, sunburned and sun-sensitive skin. This hydrating and repairing wrap has the unique ability to promptly cool, calm and relieve your skin´s burning and stinging sensations by decreasing skin temperature and immediately desensitizing. Combining the tropical extracts of honey, this wrap is rich in malic, tartaric and citric acids, potassium, calcium, linoleic acid and infused with the repairing power of vitamin C, as the creamy yoghurt is applied on the skin, it prompts the quick and deep absorption of potent rejuvenating ingredients. From the Mayan wisdom, this superb blend of herbal ingredients decongest, detoxify, nourishes and helps to regenerate the skin, bringing balance to your mind, spirit and complete wellness to your body and an unforgettable experience. This wrap will provide you with an added mood boosting benefit by stimulating endorphins known as, “happiness molecules”. This unique treatment contains caffeine and cocoa which promotes an anti-cellulite effect by draining fats retained in the body. Exclusive body treatment that nourish and rejuvenates. Guests are transported to a sublime Caribbean oasis, where their senses are gently awakened and phenomenal visible results are obtained. The skin emerges revived, refreshed, smoother, firmer and vividly brighter. Marine minerals combined with lavender and chamomile essential oils. Is the perfect formula, scrubbed all over the body, impurities and toxins are gently exfoliated. The silky texture and enticing aroma inspires our guests to relax. 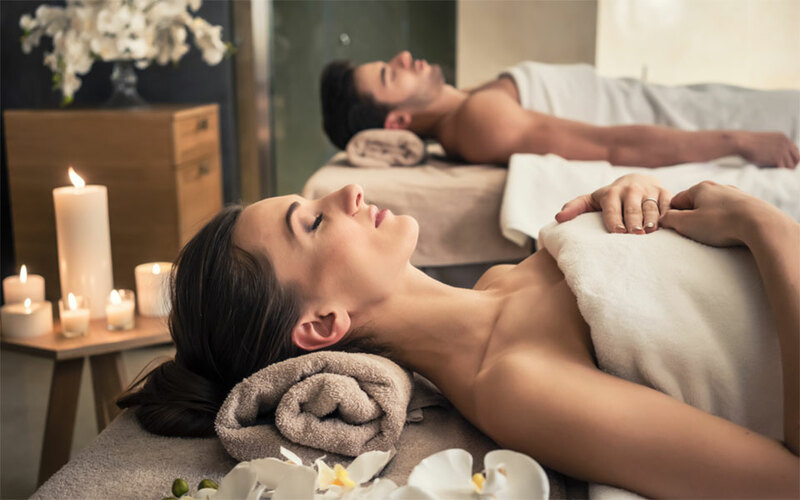 A fun massage to awaken our senses, enjoy a massage with warm fruits oil and a delicious ice cream afterwards to make of this massage an unforgettable experience.